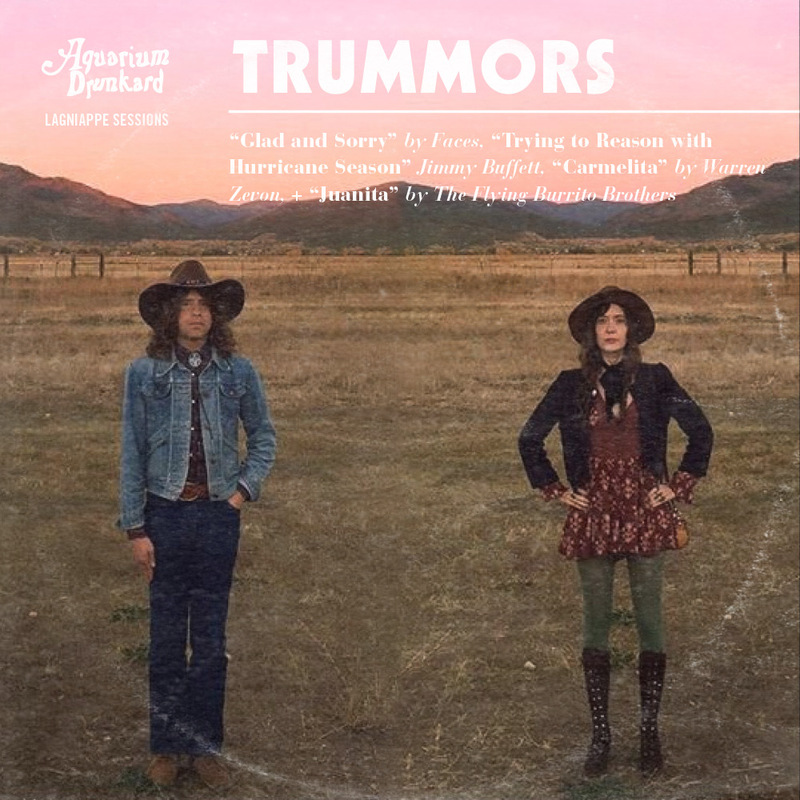 Since 2012, Trummors have released three psychedelic, yet breezy, albums of dusty country rock aided by a who’s who of West Coast players. Anchored by cosmic mainstays David Lerner and Anne Cunningham, the crack teams they regularly recruit hearken back to a time when an album’s support cast was frequently full of surprises. 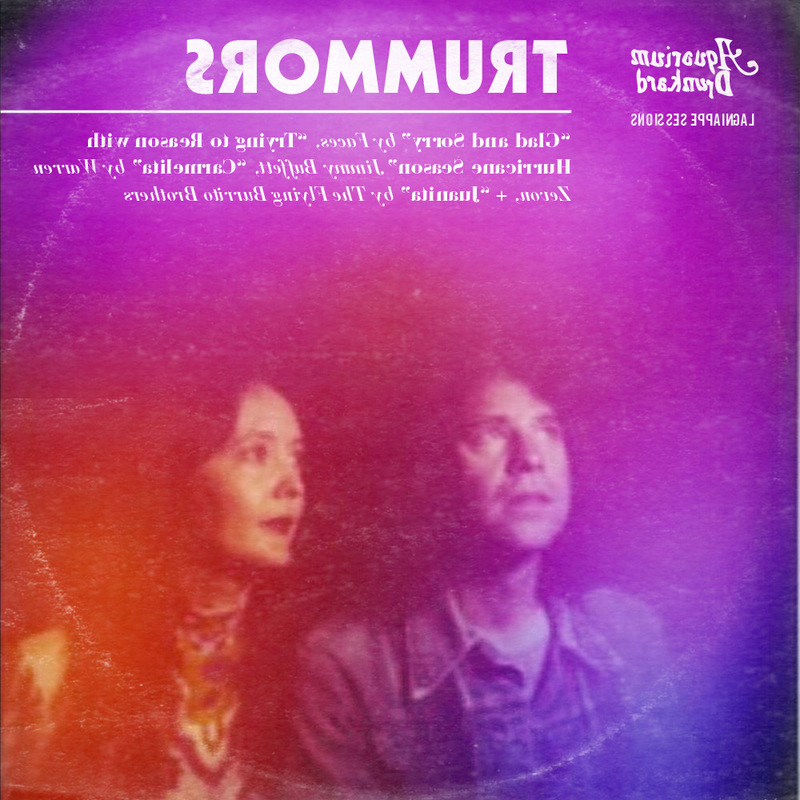 In anticipation of their next full-length, Trummors (with an assist by a coterie of friends), cut a handful of coast and canyon covers hovering somewhere between dusk and that ever elusive green flash. We’re both fans of the 1973 Faces LP Ooh La La, but we had no intention of recording this tune until Sam started playing it when we were jamming together over the holidays before the studio session and it just kind of stuck. Apparently Rod Stewart thought the entire LP was garbage after the Faces finished it, but we love the loose quality, especially on this tune. Last year, Dave did a deep dive into the Jimmy Buffett zone. One of our favorite Buffett recordings is his 1975 soundtrack to the film Rancho Deluxe, starring Jeff Bridges. From there, we got into his seventies records from when he was still a scrappy stoner troubadour, not yet the Parrot Head icon and businessman he is today. “Hurricane Season” is a transitional song in the Buffett spectrum. There are beaches and Bloody Marys, but it’s more melancholic than escapist, and even has a bit of a Dylan feel. Dylan’s a Buffett fan too, by the way — he’s said so in print. By covering this one we wanted to shine a little light on how not all of Buffet’s songwriting is like, “cheeseburgers for everyone in Margaritaville where it’s always 5 o’clock.” That said, we dig his later goofy stuff too. “Carmelita” is one sad tune, and with such a lovely melody, I got a little obsessed with it. In the studio we were talking about how the character is extra sympathetic because he pawned his typewriter to get dope. That’s commitment. I also enjoy how he describes places in the song, giving a glimpse into a not so glamorous 1970s Los Angeles. It’s a vivid story of desperation and feeling so down and out, it has that being kicked when you’re way down feeling lyrically, but the melody is hopeful. It’s so well written and arranged, and merits repeated listening. The Gilded Palace of Sin is an all-time favorite record of ours. “Juanita” is a deeper cut, but I appreciate the contrast between its close harmony and desolate lyrics. I’ve read a bit about “Burrito Manor”, the unassuming ranch house turned bachelor pad in the valley where Gram Parsons and Chris Hillman co-wrote the record, and “Juanita” perfectly evokes that kind of squalid but vibey physical and mental place.